Our 2018 Brand New Fundraiser Celebrating Active and Purposeful Aging with this unique Documentary Film Screening! Director Camille Thoman will be joining us to discuss her passion for the film and the importance of remaining active, connected and purposeful as we age. Additionally, there will be a post-screening panel discussion from Tampa Bay “Game Changers” in purposeful living, including former WFLA news anchor Gayle Sierens and 4th generation owner of the Columbia Restaurant, Richard Gonzmart! Sponsorship – there are sponsorship packages available for all levels of participation. Sponsorship will go toward supporting community programs provided by Seniors in Service (helping elderly, kids, veterans, food insecure and more). Please click here to view sponsorship details. VIP Reception – join us for a pre-movie VIP reception including Appetizers, Cocktails, Photo Fun Booth & Networking! And mingling with the film’s Director Camille Thoman and Tampa Bay’s own “Game Changers” in purposeful living including Gayle Sierens. VIP Reception tickets will go toward supporting community programs provided by Seniors in Service (helping elderly, kids, veterans, food insecure and more). VIP Reception ticket price INCLUDES all the fun of the reception, PLUS the film screening ticket, PLUS the post-movie encore panel discussion. And the regular price of $100 is discounted to 2 for 1 so you can bring your guest! 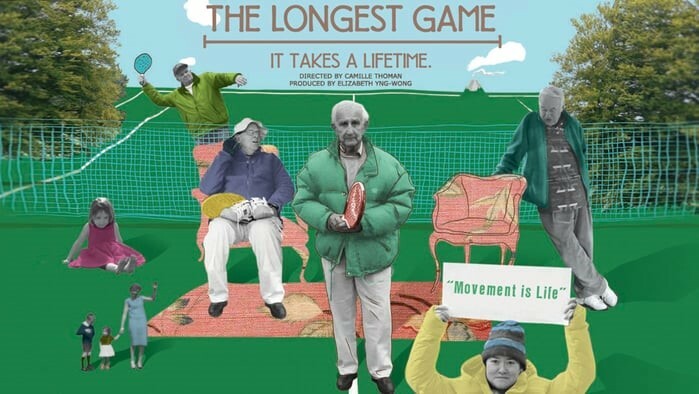 Film Screening ticket only – join us for just “The Longest Game” film screening. Enjoy this gem of a movie celebrating active and purposeful aging. Tickets for the film screening only can be purchased on the Tampa Theatre’s site at http://tampatheatre.org/movies/the-longest-game/. If you have any questions, please contact Donna Killoren at Seniors in Service at (813) 932-5228 x290 or dkilloren@seniorsinservice.org. See you on May 24th, Game Changers! P.S. – Need a flyer to tell your friends about this AWESOME event? Please feel free to click here and thanks for spreading the word!